Kai van Hasselt argues that the marketization of urban space is not necessarily a dystopian reality. During the 9th edition of Failed Architecture in Amsterdam, Owen Hatherley argued that Britain’s neo-liberal policies have had a detrimental effect on the built environment. Kai van Hasselt responded and argues that the marketization of urban space is not necessarily a dystopian reality. He says that we should also take into account the ‘positive externalities’ of market dynamics. Owen Hatherley’s lecture offered a grim view on the state of British cities and the role real estate developers and local central government officials play in relation to those. Some British developers might even calls his language vicious. He is any case clearly focused to make his point. He stands in a tradition of walkers and talkers on the British cities and landscape, like writer Ian Sinclair, filmmaker Patrick Keiller and before even the psycho-geographers. 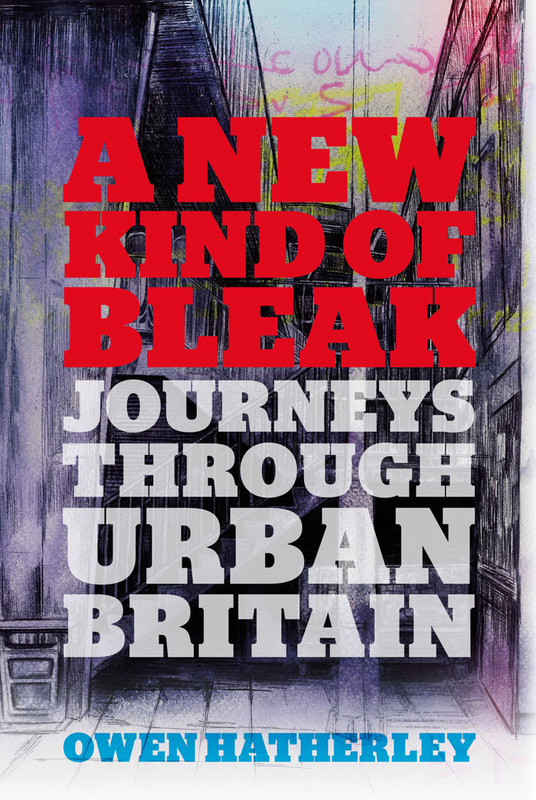 When I first saw the book cover’s over Hatherley latest book A new kind of Bleak I was warned of the thundering tone. The cover reminded me of a 70’s war book or movie like The Longest Day or The Eagle has Landed. If Hatherley tells a war story, it’s the narrative of capitalism and neo-liberalism and how those have impacted the British urban landscape. In my response to his talk I’ll approach it from the Dutch, and broader, the Continental side. The UK- and the Anglo-Saxon model is much different from the Rhineland model, not just in the kind of capitalism that is present, but also in terms of real estate and urban development. A third line of thinking would probably be the French and Southern European traditions. They are focused more on symbolism when it comes to the build up of the city. At the moment, Germany has one of the healthiest housing markets of Europe. Its housing and real estate are characterized by strong institutions and a tradition of thinking about large scale and long time planning. Cities like Hamburg, Koln, Dusseldorf, Frankfurt, Munchen and Berlin are mostly high quality cities (rebuilt after the war) which pay attention to the quality of life in the respective cities and to the experience of the landscape. The 100 year old IBA, Internationale Bau Austellung is an example of that mentality. Every few years this international building exhibition is held in a different city or region. It is used to showcase innovative approaches and solve real world urban issues. Vienna too comes to mind with its long and broad tradition of building huge city blocks. A recent social housing development had a swimming pool on the roof. That is not Mecca, but it is nice to see that amenities considered part of luxury apartments are accessible to a much broader group. This really is different from the UK situation, or from that matter of much in the Netherlands if you think of the VINEX 80’s and 90’s housing developments, but not if you think about plan Zuid or of recent times the KNSM, Java and Borneo Sporenburg developments in Amsterdam. However, the Dutch with their extremely long planning and land making history seem to have lost some of the luster of city building. Who is to blame, if tonight is the blaming party? Still our architecture and architects are world renowned. In the introduction to Hatherley’s book he speaks of the current orthodoxy- the mainstream thinking on both sides of the UK political spectrum from the Conservatives to Labour, which according to him, do not seem to grasp how to build cities. My question to the author would be: What do you propose? How would you see an alternative future? And do you see small scale examples of such a direction that somewhere are actually being realized, let alone have the possibility to be scaled up? Housing, and other forms of real estate are both assets, like stocks or bonds, but also primal needs and elements of our lives in cities. That combination is very difficult to manage and gives contrasting expectations, between stakeholders and shareholders, between residents and owners. – who has what rights to the city? This is related to the question of spatial equity- who owns what? When I think of developers, there are good ones and bad ones, and good ones that later on turn out to be bad ones, but that does not mean that there are no good ones. I would certainly be able to tell of a number of very good ones, both in the sense of professionalism and success as well for the positive impact they have on neighborhoods. I think of Hines from the US, which operates on very complex large scale urban redevelopments internationally. But also of the vision of the CEO of British developer ARGENT PLC. The company is involved with the redevelopment of part of the Kings Cross area and the company itself is owned by Hermes, the BT pension fund. Urban splash, also from the UK comes to mind for the innovative approach to area redevelopment, but is must be said that not all what they touch comes to fruition as planned or promised. 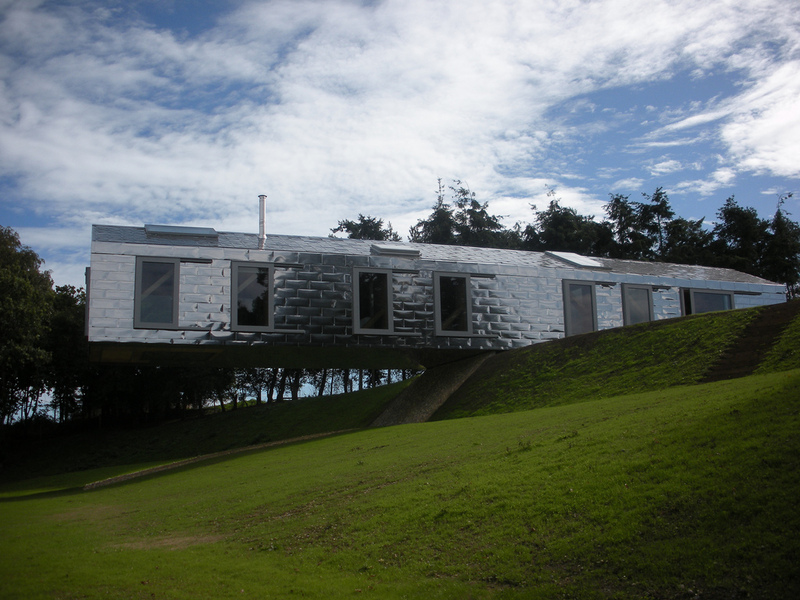 At the other end of the spectrum is a project like Living Architecture, started by British author Alain de Botton and others who offer five outspoken architectural houses which you can rent for holiday and were you can experience ‘good’ architecture. It is very nice, but in a way exists in a bubble. Much of the work of the housing corporations is done under a different ethos than that of the real estate developers or than the latter example, but they do try to find a middle between the two. Quality housing is expensive. That means governments which sell land, should not want to get the most profit from selling land, if that means there is too little room left to develop quality, and on the other end residents should pay a fair price to live somewhere. The current situation in Amsterdam- with the typical Dutch thing of scheefwonen -paying a relatively low rent for social housing, whilst your income would allow you to pay more- has created a vast class of vested interests and is equally unequal as it forcing other people to live to expensively and does not allow housing corporations to invest in their housing supply. A city which forbids people to ask market rate rents- is at the same time a total disincentives to invest in residential real estate- Why would you, if you can never get your investment back?- and a form of rent-control which protects renters. Real estate developers in the right cases bring professionalism. Not always, but often. One has to ask oneself the question that if they don’t develop our cities, who will? 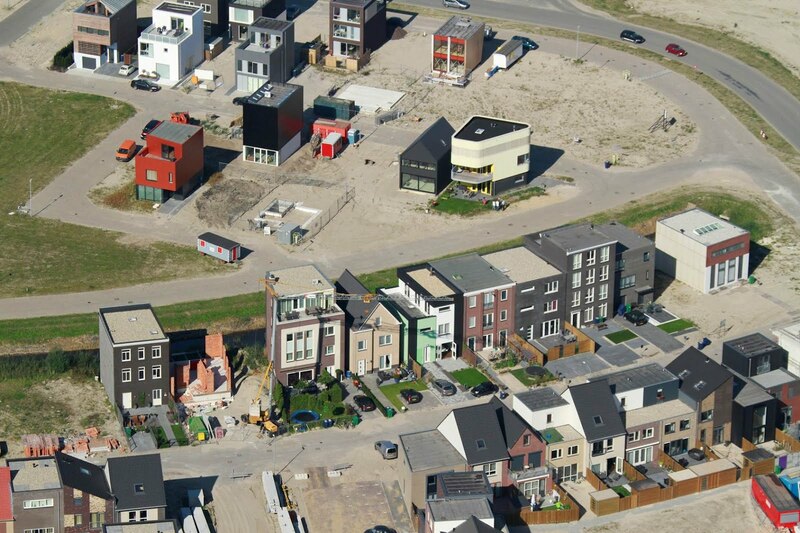 It is great to see that there are now considerable successes being achieved with self build plots and CPO (collectief particulier opdrachtgeverschap) in places like Almere and elsewhere, but it remains to be seen whether this model can be scaled up to the extent needed to provide all those in need with a house. It is costly and complex. Housing corporations in some cases provide really good urban living conditions. 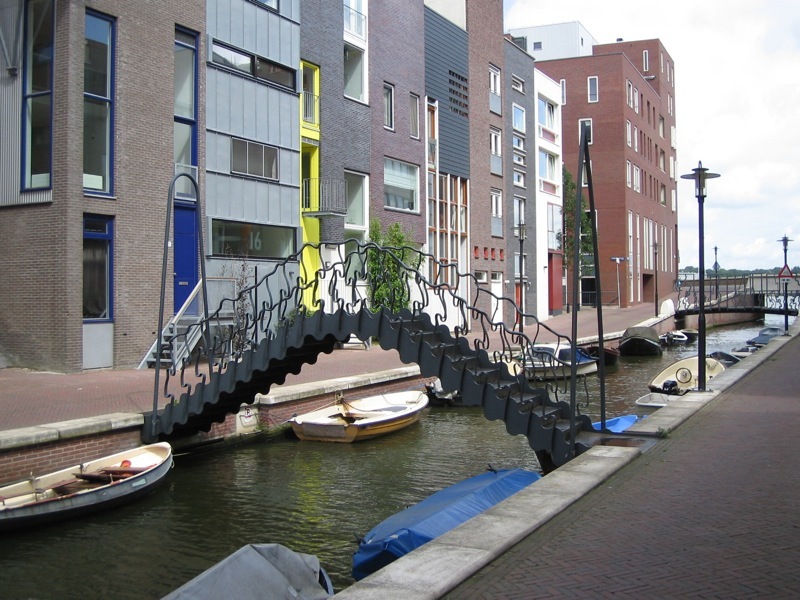 they have historically done so, think of Plan Zuid in Amsterdam but also across many Dutch cities and regions. Some of them are now under pressure over failed financial hedges against rising interest costs and over exuberant executive pay. On the long run and overall, they were and are a formidable force in the urban renewal of Dutch cities. Making cities is extremely complex. Questions of equity and inclusiveness are one thing to mention as a goal at the start of a project – to integrate them successfully up to the end of a project, is another thing. The last cabinet merged the ministry of spatial planning, housing and the environment with that of traffic & infrastructure. It is good for efficiency, but what about the different agendas those ministries represent? Back to the question how to develop this alternative agenda: valuing other things, quality of life in the built environment over quantity, finance and efficiency. In some countries the government rewards private parties who build with a public purpose with extra building rights, or in other ways. This focus on positive externalities is a line of thinking I would like to see moving forward. My firm has analysed ten of such incentives including Business Improvement Districts, Tradable Development Rights, Community Development Corporations, landscape auctions, land trusts and banks and other instruments that want to promote collective action by private actors. We have grouped them under the term of urban finance instruments and relate them to reflexive urbanism, a highly strategized approach to urban development where the spillover effects are taken into account. I see potential in such an approach, notwithstanding the difficulties that for example PPP and PFI have caused in the UK. Our conclusion is that in some of the most liberal planning regimes, it precisely are the strong trustworthy governments that allow private entities to work with each other in the market to achieve good urbanism. For more on this see this website. Thinking of the longer term plan for cities in the Netherlands, there is a balance to be struck between collaboration and competition. That is a political question at the least, and possible a game theory one too. Do politicians always behave like they do, or can they overcome themselves? Furthermore I would plea for a combination of simultaneously more restrictions and firmer steering from a higher government level and more flexible rules locally. It sounds like a contra diction in termini, but I think it could be achieved. Let developers bring innovation and reward them for that. Private student hotels and other new forms of collective living are examples of new typologies that are being introduced in the country by innovative developers. In his book, Owen Hatherley mentions regionalism, voluntarism and community driven urbanism as positive alternatives to the UK mainstream. I also see it is a plea for architecture. Hatherley refers to projects by Chipperfield and Caruso St john that he likes. It made me think of a book by Pier Vitterio Aureli – The Possibility of an Absolute Architecture, in which the author looks at architecture to withstand a wave of urbanization. The analysis of what is bad is one thing, but to confront it with a buildable, doable alternative is something else. I am curious how Hatherley would select his words to describe such an alternative. I would rather see an enlightened developer or bureaucrat than a traditionalist or one with too much restraint. Building is like landscaping and gardening – it blooms after a long time. We should believe in the long term project of our cities. Architects have a defining role to play there and so do developers. Kai van Hasselt is the founder of Shinsekai Analysis, a research-based advisory practice in Amsterdam. Its clients range from (landscape) architecture firms to real estate developers, cultural institutions and governments. He studied economics at the University of Amsterdam and worked for a leading Dutch trend analyst from 2000 to 2003 and for OMA’s think tank. This response was given during “Failed Architecture #09: Sell Out Cities” on September 30. Wonderful web site. Lots of useful info here. I'm sending it to some buddies ans also sharing in delicious. And obviously, thank you to your sweat! His blog is called "nastybrutalistandshort" I think this is a rather simple clue to what architecture he prefers and would have instead.